What is it that makes people click on a video? Are you thinking about this before you plan your video and video marketing efforts? In particular, are you thinking about this when planning your production? Volvo obviously put a lot of thought (and surely money!) into their recent, virally successful Van Damme commercial. 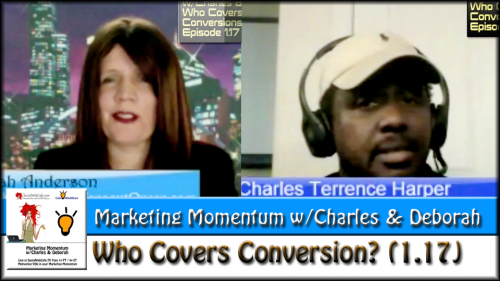 Charles and Deborah talk about that in this episode of Marketing Momentum and chat about what works and can be applied to your business and marketing needs. What will be our primary source of traffic in the coming months, according to the stats? 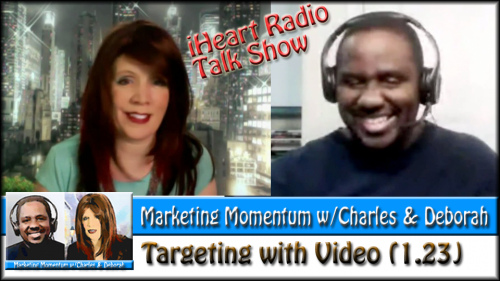 Listen as Charles and Deborah discuss video, video options and review the Michael Port YouTube Channel as well as another look at Video Creators. Today marks the first day of the YouTube commentaries. 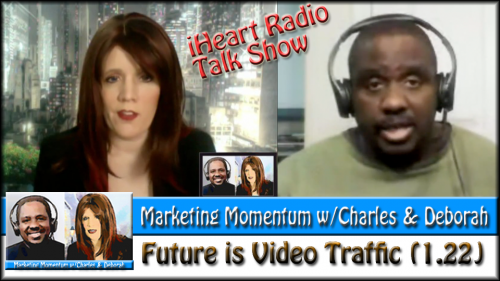 Charles and Deborah start with Stanford, Marie Forleo, and Tim Schmoyer (Video Creators). Also, Deborah gives hints on backdrops and whiteboard effects, as well as logo ideas for your videos. 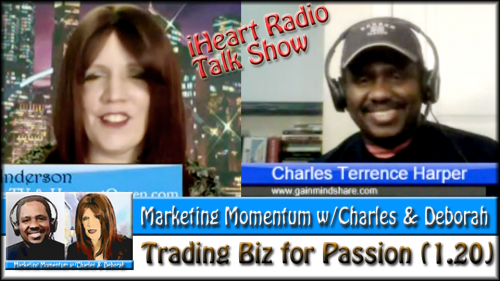 Charles shares his thought process and insights on trading in a lucrative business model for his true passion. Hear how he walked through his decision-making process. 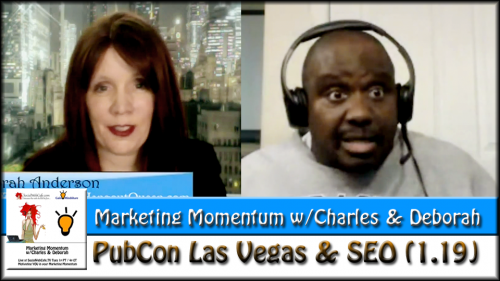 Exciting things happened at PubCon Las Vegas 2013, including Matt Cutts’ brilliant PR move and SEO news and focus on quality. 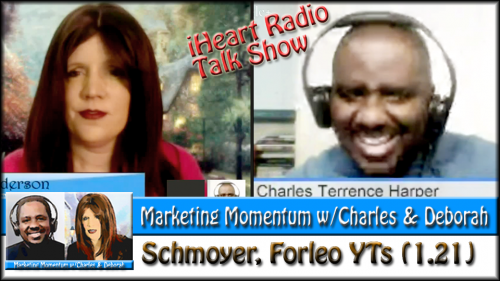 Listen as Deborah shares highlights and Charles shares SEO thoughts. It’s Vegas - Can’t help be but a surge of excitement, eh? We are fascinated with reality TV shows, as well as the access that services like YouTube, Vimeo, Vine, and Instagram provide to us. The combination of desire, access, and the joy of seeing ourselves on screen propels us toward our own show(s), whether it is our own reality TV via iPhone, or our Music show, or whatever our creative minds lead us to present to our audience. 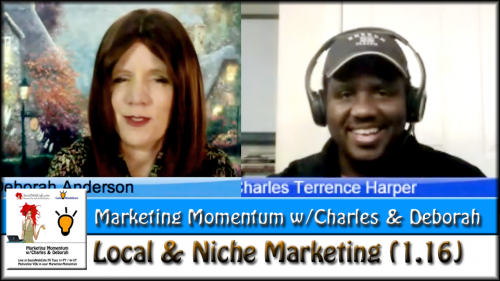 There are challenges that face all of us, and today Charles and Deborah talk about those marketing challenges facing local and niche marketing. 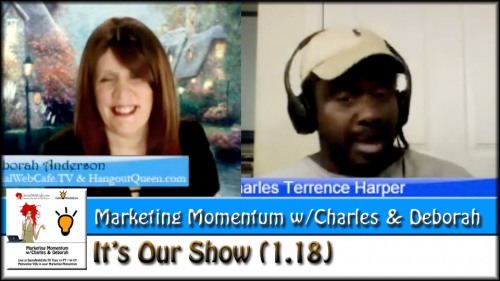 Charles shares some of his insights in fitting into both of those categories, with his business model.